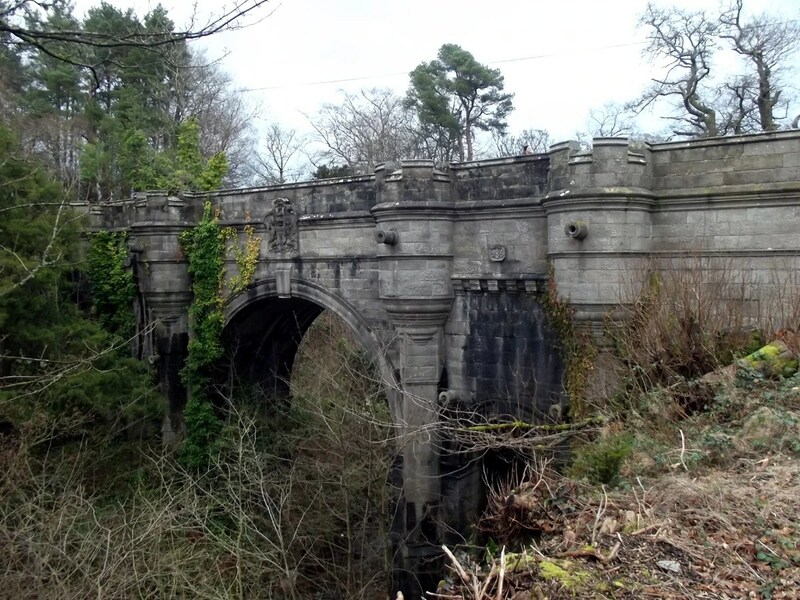 In 1895 Lord Overtoun constructed an arch bridge over a stream on his estate. The bridge towers 50 feet above the Overtoun Burn in Milton, near Dumbarton Scotland. In the 1950s reports surfaced of dogs jumping to their death from Overtoun Bridge. The phenomenon has become a regular occurrence, with strikingly similar details. Actual numbers of doggie suicides vary from 50-600, what remains constant are circumstances of those deaths. Canine suicide is exclusive to long nosed breeds such as Labs, Collies and Retrievers. All dogs jump from the same spot – approaching Overtoun Estate on the right hand side of the bridge, between the last two parapets, and only on sunny days. Picture yourself thousands of years ago at a settlement on Orkney Islands in the British Isles. Hundreds, perhaps thousands of people gathered at a great stone temple to witness the winter solstice. Hear the music, breath oily fires. Fall silent as the sun rises, illuminating stone after monolithic stone as far as the eye can see. Ponder the world with a Neolithic eye, in a place built hundreds of years before Stonehenge. The winter solstice marks the shortest day, and longest night in the northern hemisphere. The point when the sun in the dome of our sky, reaches the southern most point every year. The solstice is not a day, rather a “moment in time” – a moment observed and captured by ancient civilizations on every continent. The magnitude of precise observations; the ability to erect structures whose only purpose was to capture a fleeting moment – should shame us all. Most of us know Dec. 21 is the first day of winter; we hurry about knowing there are only a few shopping days till Christmas. How many of us stop to think that once upon a time civilizations thrived on understanding of celestial events. People who valued everything we seem to have forgotten. We can never be on ancient Orkney – we can imagine the thrill of revering our world. Stop for 5 minutes to gaze at the night sky, throw caution to the wind and learn to recognize a constellation or note the length of afternoon shadows. Listen to the wind, howl at the moon – I don’t care – just pay attention. Merry solstice to all, and to all a good night. Everything solstice by Deborah Byrd at earthsky…. 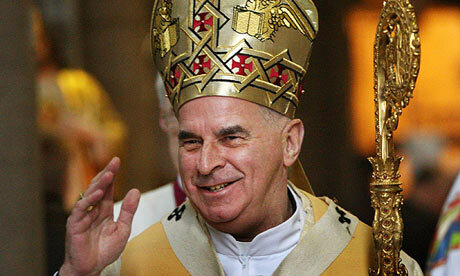 Cardinal Keith O’Brien, head of the Catholic church in Scotland; resigned over allegations of inappropriate behaviour. Pope Benedict XVI accepted his resignation on Feb. 18, just short of his intended departure on March 13 – his 75th birthday. Dare I say; there seems to be a trend developing in the Catholic Church. These “run for the border” antics have me pondering. It isn’t that it’s happening; that’s old news. What really bothers me is that the same rule of law should apply to them as everyone else. Monumental heartbreak, shattered lives, and broken trust are swept under the mat; as if the victims didn’t matter. Men of God slip out the back door, and we all look the other way. Apparently the “church” is on to something. In these politically correct times confession remains the accepted path to redemption, I doubt that the irony will ever dawn on the faithful. Thanks to our social media world, the confessional is open for all to see. The holy water gets too hot – jump out of the pot on CNN and all is right in the world – you’re only human. Zero punishment, all is forgiven – right? I can’t help but laugh. For some strange reason it makes me think of Ted Haggard . the evangelist who strayed when attacked by homosexual demons. Poor Ted, he cried and cried – rather publicly I might add, upon losing his ministry; his livelihood down the toilet, stoic wife at his side – we give him a reality show. Actually paid him for the right to roll film as he re-builds his cash cow out of a barn on his sprawling estate. I realize that Ted didn’t prey on followers, and can not be compared to Cardinal O’Brien’s path of demise. The point I’m trying to make is that we need to re-evaluate the kid glove extended to matters of God. Every one of us who accepts this ridiculous, hypocritical double standard, is responsible for the God card being played as a “get out of jail free” card.